A dysmorphic neonate is a cause of concern and anxiety for the parents and the physician. It allows a more accurate estimate of the risk of recurrence and therefore allows genetic counselling. It allows prognostication and permits interventions that may prevent, anticipate or more successfully treat complications.TheAround 4,000 malformation syndromes have now been delineated and many are associated with medical problems. Thus making a specific syndrome diagnosis can influence immediate medical management. A detailed history, a physical examination for detailing the major and minor anomalies, recording the growth, examination of previous records and photographs are complemented by cytogenetics and molecular genetic techniques in achieving a diagnosis. Familiarity with dysmorphology databases and cross referencing the anomalies especially the rarer ones helps in narrowing the differential diagnosis. Dysmorphology is a branch of clinical genetics in which clinicians and researchers study and attempt to interpret the patterns of human growth and structural defects. A dysmorphic neonate at birth is a cause of concern and anxiety for the parents and also the physician. If the dysmorphism does not result in a major anomaly and the parents are unaware of the presence of a dysmorphic syndrome in their newborn, breaking the news, bringing the variations to the notice of the parents, characterizing all major and minor anomalies accurately, establishing and confirming the diagnosis and providing genetic counselling are the immediate responsibilities of the physician. Providing health care supervision for the child on follow-up as per the established guidelines is subsequently required and can be done accurately only if the diagnosis is confirmed. With the increasing identification of genetics in the causation of disease, reaching a clinical diagnosis also allows a more targeted search for a genetic aetiology. Making a diagnosis also allows the parents to search for and join a ‘support group’ and interact with other parents with children having the same or similar problems. This helps the parents to cope with stress of having a dysmorphicbaby. The approach to making a diagnosis of a dysmorphic neonate is fundamentally similar to making a diagnosis of a neonate with any systemic illness and relies on a detailed history, a meticulous clinical examination, identifying a syndrome based on a combination of signs, or sometimes ‘by gestalt’ (pattern recognition). Cytogenetics and molecular techniques improve our ability to make precise syndrome diagnoses. Eventhough there is a certain degree of urgency in making a diagnosis in a dysmorphic neonate, a snap diagnosis should never be made, as experience teaches us that in most cases they are wrong and an infant could carry on with a wrong diagnosis for many months before it may get corrected . A basic knowledge of the embryologic and fetal development is integral to understanding of the susceptibility to dysmorphism which is highlighted in the Figure 1 .Critical periods during the development of the fetal organs during which teratogenic influences lead to anomalies and dysmorphism can be understood from Figure 2.The definition of terms commonly used in description of birth defects is as given below in Table 1. [2, 7]Syndrome diagnosis depends upon good clinical skills, knowledge of the description and deﬁnition of human phenotypic variations, experience of the examiner supported by dysmorphology databases and cytogenetics and molecular genetic studies. There is undoubtedly an element of ‘intuition’ which is unteachable and this ability combined with reading and recall results in the ‘edge’ that some clinicians have over others.1 The definition of common clinical signs seen in dysmorphic syndromes were neatly outlined ironing out ambiguous or unclear references through the efforts of a group of over 30 clinical geneticists from the United States, Canada, Europe, and Australia. These consensus deﬁnitions have been published in the ‘American journal of clinical genetics’ in 2008. [8-14]The reader is encouraged to look at this reference to improve his or her understanding of these signs. A similar but shorter and less exhaustive list is given in Table 2.It is also useful to categorize abnormalities as ‘major’ or ‘minor’ birth defects. Major anomalies are those that either cause dysfunction (absence of a digit) or require surgical correction (polydactyly), while minor anomalies which occur in less than 5% of the population neither cause significant dysfunction nor require surgical correction (mild cutaneous syndactyly). The significance of identifying the ‘minor’ anomalies is that they herald the increased risk or the presence of a ‘major’ anomaly as shown below in Table 3. A list of minor anomalies seen in various systems is as given below in Table 4.The diagnosis of the dysmorphic infant therefore requires a methodical approach beginning with history with emphasis on the perinatal, family and exposure history and re-examination of the neonate and ordering investigations based on the this evaluation. It requires a basic knowledge of the common clinical signs in dysmorphic syndromes (human phenotypic variations) and knowledge of the major and minor anomalies. It requires an element of clinical suspicion which improves with reading and following case reports and case series published in achieved journals. It requires an instinct and a particular aptitude. There is no substitute for the repeated observation of important clinical signs and as the clinical signs suggesting specific diagnoses are rarely encountered, repeated review of literature is necessary. morphologic abnormality that arises because of an abnormal developmental process. A primary error in morphogenesis e.g. cleft lip. e.g. talipes and hydrocephalus can result from a lumbar neural tube defect. distortion by a physical force of an otherwise normal structure e.g. club foot. abnormal cellular organisation within a tissue resulting in structural changes e.g. within cartilage and bone in skeletal dysplasias. Table 1: The definition of terms commonly used in description of birth defects. A single whorl occurs to the right or left of midline and within 2 cm anterior to the posterior fontanel in 95% of cases. The whorl represents the focal point from which the posterior scalp skin was under growth tension during brain growth between the 10th and 16th wk of fetal development. Aberrant position of the whorl reflects an early defect in brain development. Incomplete separation of the fingers. It most commonly occurs between the 3rd and 4th fingers and between the 2nd and 3rd toes. Lateral displacement of the inner canthi. The inner canthal distance is increased, but the inner pupillary distance is normal. V-shaped midline, downward projection of the scalp hair in the frontal region. It represents an upper forehead intersection of the bilateral fields of periocular hair growth suppression. It usually occurs because the fields are widely spaced, as in ocular hypertelorism. Table 2: Common clinical signs in Dysmorphic syndromes. Table 3: The significance of identifying ‘minor’ anomalies. Table 4: Minor anomalies seen in various systems. Figure 1: Embyologic and fetal susceptibility to anomalies. 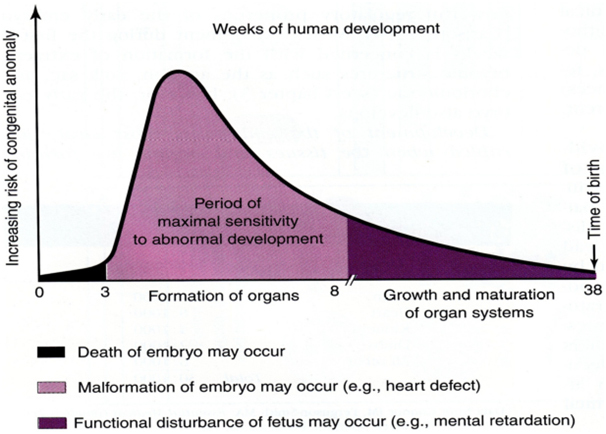 Figure 2: Critical periods during the development of the fetal organs during which teratogenic influences lead to anomalies and dysmorphisms. iBallpark diagnosis: an ‘approximation’ of the diagnosis based upon the clinical features. iiDiagnosis by Gestalt: identifying the syndrome by ‘pattern recognition’. Investigations to confirm the diagnosis and to evaluate the neonate for affected organ systems. Following the history and physical evaluation, the clinician has full details about the neonate including the major and minor anomalies. If the diagnosis is not apparent based upon ‘pattern recognition’ (diagnosis by gestalt based on the examiner’s personal experience and abilities) by now, the clinician can cross reference two or more anomalies in order to create a differential diagnosis and a most-probable diagnosis (the probable diagnosis ‘approximates’ as closely as possible the true diagnosis). Narrowing the possibilities down to a few allows diagnostic testing. If there are multiple anomalies, it is prudent to use the least common ones. Cross referencing is best accomplished by using published compendia of malformation syndromes. These compendia have been supplemented by databases that are accessible online (i.e., GeneReviews, Online Mendelian Inheritance in Man (OMIM), and PubMed). [19-21]A ‘syndrome search’ can be then conducted on these online databases. The availability of such tools allows the cross referenced features to be compared easily with those of other described syndromes having similar malformations. This systematic review produces a differential diagnosis for the constellation of features described and identifies relevant literature published in this regard. Databases are now considered indispensable in clinical genetics and dysmorphology. Some resources such as Online Mendelian Inheritance in Man(OMIM) have free access. It is an excellent tool for the identification of key journal references, for summaries of clinical features of classical cases and family studies of Mendelian disorders, and for obtaining an indication of the research progress in terms of gene localisation, errors therein and locus identification. Many conditions and disease genes now have dedicated databases in which all recorded mutations that cause disease are available for comparison. The identification of a variation in DNA sequence in an affected individual does not always translate into a disease-causing mutation. The existence of such databases allows clinicians to seek expert assistance from molecular genetics specialists rather than having to decide for themselves whether a DNA variation represents a ‘mutation’. It is important to be aware of the presence of such locus-specific databases. Another resource for information on rare disorders, Orphanetis accessible to patients and professionals. It provides synopses and full texts on thousands of conditions, and country-specific information on specialist clinics, diagnostic laboratories and patient support groups in Europe. Another resource GeneTestsalso contains information on testing centres as well as an encyclopaedia of information on many dysmorphic syndromes. A drawback of these resources is that there are no illustrations of the syndromes described in the databases. There are some commercial ‘expert’ systems such as London Medical Database’s, Winter–BaraitserDysmorphology Database andPOSSUMweb. The standard karyotype using giemsa staining (G-banding) from a peripheral blood sample can confirm a chromosomal aneuploidy including multiple malformation syndromes which result from large visible chromosome rearrangements resulting in deletion or addition of material. These rearrangements can involve an entire arm of a chromosome or may be submicroscopic. Such submicroscopic deletions can often be detected by targeted fluorescence in situ hybridization (FISH) probes specific for the deleted region, allowing the identification of the microdeletion syndromes e.g. Prader-Willi syndrome, Angelman syndrome, Smith-Magenis syndrome, Miller-Dieker and DiGeorge syndrome. Three techniques of FISH are commonly applied in dysmorphology. First, probes that are specific to the gene locus on the chromosome, bind to the segment of DNA which is not visible by G-banding on light microscopy. If the gene is deleted the FISH probe will not bind, thus demonstrating the microdeletion. Second, in whole chromosome painting (WCP), FISH probes are specific to a complete individual chromosome, rather than a single locus, and will paint the entire chromosome. Different approaches include combining fluorescent dyes to give each chromosome pair plus the X and Y chromosomes a different colour on a single metaphase spread and examining each chromosome separately, or a restricted group of chromosomes, in individual wells on a single slide. WCP is useful for identifying the origin of additional chromosome material that is microscopically visible but not distinctive enough to be assigned to a specific chromosome. It can also be used to search for light microscopically invisible (cryptic) translocations where suspicion of a chromosome abnormality remains, despite a normal standard karyotype. The exchange of similarly sized and banded material between two chromosomes which is not visible in a standard black and white G-banded study, becomes visible because of the exchange of different colours.The third approach involves use of FISH probes specific to the subtelomeric region of the short and long arm of each chromosome.The telomeres are the ends of the chromosomes and the subtelomeric regions of chromosomes are gene rich, subject to frequent breaks and exchanges, and are difficult to visualize on a standard G-banded karyotype. Subtelomeric probes are superior to WCP techniques for uncovering cryptic translocations. Genomic variations which lie between the easily identifiable chromosomal anomalies on the standard karyotype and the single nucleotide polymorphisms (SNP) are identified using DNA microarrays. DNA microarrays detect copy number variations (CNV). Larger chromosomal rearrangements such as balanced translocations or inversions are not detectable using this method.Microarray testing can be performed in either a targeted or genome-wide fashion. Two types of DNA microarray platforms used currently are array comparative genomic hybridization (array CGH) and single nucleotide polymorphism arrays (SNP arrays). Array CGH uses bacterial artificial chromosomes containing large DNA segments as probes, or small oligonucleotides as DNA probes. SNP arrays use probes based on known polymorphisms in the human genome. SNP arrays detect gains or losses of shorter stretches of the genome as the probes for a given region are densely arrayed, and thus the sensitivity for detecting alterations of that region is higher. SNP arrays can detect consanguinity. With a single test, microarrays can detect genomic errors associated with disorders that are usually identified by cytogenetic analysis and multiple FISH studies. Microarray analysis thus provides robust and exceptional level of resolution from a diagnostic perspective. However the interpretation of the results in assigning causality and clinical significance of the multiple alterations that are detected in each individual is not clear. Towards this end, the availability of databases with information on normal variation in multiple ethnic populations and testing of unaffected parents remain standard approaches to discerning whether a CNV is responsible for the dysmorphism or likely to cause disease in the future. Based on current evidence it is recommended that Chromosomal microarray be ordered as the first tier genetic test in place of a karyotype for patients with unexplained multiple congenital anomalies. High detection rates of CNV’s in neonates with birth anomalies has been demonstrated using chromosomal microarray. Molecular testing provides several answers – confirming the diagnosis, the cause of the anomaly, identifying family members at risk.It establishes a diagnosis in a symptomatic individual, identifies the inheritance pattern, and provides carrier testing and prenatal testing. Over 2500 tests are available. Molecular testing may be for a single gene or multi-gene testing. In single gene study sequence analysis for missense, nonsense and splice site mutations is done. Small intragenic deletions/insertions are identified and testing for deletion/duplication of exons or whole gene is also done. In the ‘phenotype first approach’ clinician uses detailed phenotypic features to determine genes most likely to be mutated. In multi‐gene panels the clinician identifies a broad phenotype and a panel of genes are then tested. The panel varies depending upon the mutations prevalent in that ethnic or geographic population. Next generation sequencing tests such as the whole genome sequencing (WGS) and the whole exome sequencing (WES) are poised to revolutionize the identification and diagnosis of genetic disorders. Lastly biochemical testing for disorders like peroxisomal disorders, Smith-Lemli-Opitz syndrome and mucopolysaccharidosis is also resorted to. In addition use of tandem mass spectrometry (MS/MS) in babies suspected to have an inborn error of metabolism and neuroimaging using magnetic resonance imaging (MRI) and spectroscopy (MRS) is also often employed. [1,2,7,15,] [26-28]. Usually visible on routine karyotype. FISH will detect smaller deletions. Parental DNA for UPD studies. Table 5: A list of common dysmorphic syndromes encountered during the neonatal period and the lab test for confirming the diagnosis. The approach to diagnosis of a dysmorphic baby is similar to the approach of making a diagnosis as elsewhere in medicine. It requires a methodical approach beginning with history with emphasis on the perinatal and family history with a three generation analysis of the family tree. An examination of the antenatal maternal investigations such as the ultrasound, anomaly scans and serum triple screen results is essential. Knowledge of the common clinical signs in dysmorphic syndromes and the major and minor anomalies is required. A diagnosis ‘by gestalt’ is for the experienced clinician. Characterizing the major and minor anomalies, cross referencing of two or more anomalies and performing a syndrome search on a dysmorphology database or compendium is more likely to be fruitful.With the differential diagnosis in mind investigations such as a standard karyotype, targeted FISH study, or molecular studies need to be ordered. Based on current evidence it is recommended that chromosomal microarray should be ordered as the first tier genetic test in place of a karyotype for neonates with multiple congenital anomalies. The diagnosis of a dysmorphic neonate is a systematic exercise, with no recourse other than a meticulous history and a thorough and repeated clinical examination. One must curtail the inherent tendency to make ‘spot’ diagnosis as they can be wrong and induce anxiety in the parents. Be sensitive towards the stress the parents are facing. One must get familiar with the common clinical signs in dysmorphic syndromes and the minor anomalies that occur. Meticulous recording of growth parameters and physical measurements and comparing them with age-appropriate standards as given in the Handbook of Physical measurements, and characterizing all major and minor anomalies is crucial. Familiarity with dysmorphology databases and cross referencing the anomalies especially the rarer ones helps in narrowing the differential diagnosis. Current evidence recommends chromosomal microarray as the first tier investigation in place of karyotyping in neonates with multiple congenital anomalies. Vishal Vishnu Tewari (VVT) and Ritu Mehta (RM) have contributed in conception, designing of data and writing of this article. KunalTewari (KT) was responsible for revision of the manuscript for important intellectual content. VVT is responsible for overall supervision and is the guarantor of the article. Haldeman-Englert CR, Saitta SC, Zackai EH (2012) Evaluation of the dysmorphic infant. In: Gleason CA, Devaskar SU (9th ed) Avery’s diseases of the newborn. Philadelphia: Elsevier Saunders: 186-195. El-Hattab AW, Sutton VR (2012) Inborn errors of metabolism. In: Cloherty JP, Eichenwald EC, Hansen AR, Stark AR (7th ed) Manual of neonatal care. India: WoltersKluver767-790. Jones KL, Jones MC, del Campo M (2013) In: (7th ed) Smith’s Recognisable Patterns of Human Malformations. Philadelphia: Elsevier Saunders133-134. 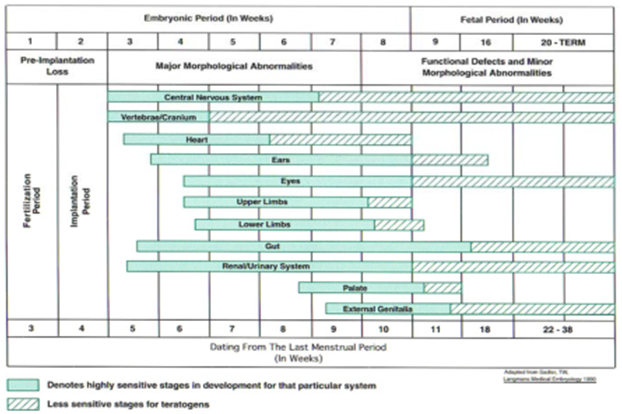 Moore KL, Persaud TVN (1998) Organogenetic periods: the fourth to eight week. In: (6th ed) Developing human: clinically oriented embryology. Philadelphia: Saunders116-198. Sadler TW, Langman J (1990) In: (6th ed). Langmans medical embryology. Baltimore: Williams & Wilkins. Wynshaw-Boris A, Biesecker LG (2011) Dysmorphology. In: Kliegman RM, Stanton BF (19th ed) Nelson textbook of Pediatrics. Philadelphia: Elsevier Saunders629. Kingston HM (2002) ABC of medical genetics, 3rd edn. BMJ books. Hall JG, Allanson JE, Gripp KW, Slavotinek AM (2007) (2nd ed) Handbook of physical measurements. New York: Oxford University press. Allanson JE (1997) Objective techniques for craniofacial assessment: what are the choices? Am J Med Genet 70: 1-5 [Crossref]. Miller TD, Adam MP, Aradhya S et al. (2010) Chromosomal microarray is a first tier diagnostic test for individuals with developmental disabilities or congenital anomalies. Am J Hum Genet86:749-764. Bosch JR, Manning MA, Cherry AM (2010) Further advances in neonatal genetics testing. Neoreviews13:e20. Crotwell PL, Hoyme HE (2012) Core concepts-chromosomal aneuploidies. Neoreviews13:e30. ©2016Vishal Vishnu Tewari.This is an open-access article distributed under the terms of the Creative Commons Attribution License, which permits unrestricted use, distribution, and reproduction in any medium, provided the original author and source are credited.